About Us - St. Petersburg Plant and Palm Tree Nursery • Sunscape Nursery, Inc. Located at 4730 County Road 16, St. Petersburg, FL, Sunscape Nursery is the most complete full service retail nursery specializing in tropical plants and palm trees in Southern Pinellas County. We offer a wide variety of palm trees, shade trees, hedges, bushes and an array of tropical annuals and perennials that are all suited to a Florida friendly landscape. We invite the public to stop by and browse our 2.5 acre nursery and talk to one of our friendly horticultural experts to help you choose the right trees or plants for your next landscaping project. We also offer full installation of all trees and offer landscaping services and design. 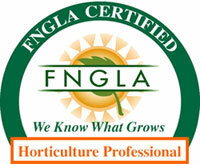 Sunscape Nursery is a member of The Florida Nurserymen and Growers Association. Sunscape Nursery is also fully licensed and insured. Sunscape Nursery is located in St Petersburg, FL and is open to the public Monday – Friday 7:30 AM to 5:00 PM & Saturday 7:30 AM to 4:00 PM.